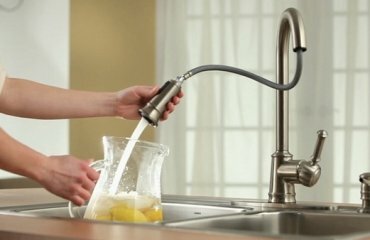 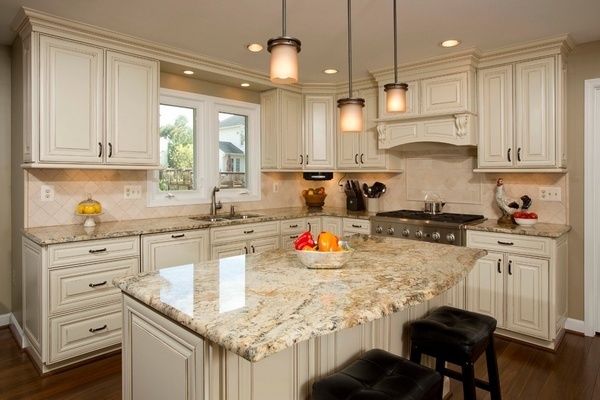 Yellow river granite countertops are unique and if you want to have something truly original and hard to repeat – that should be your choice. 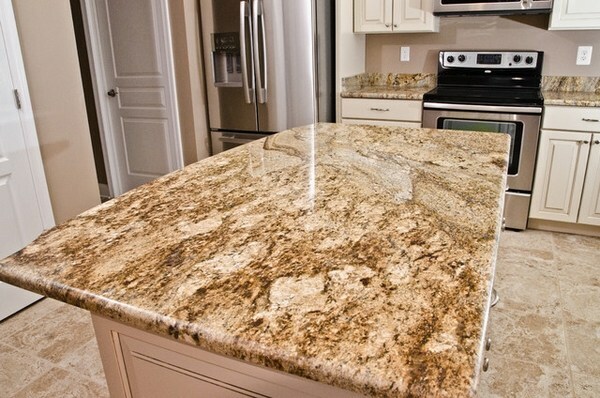 Quarried in Southern Brazil, also known as Golden Ridge or Golden River Granite, this stone offers complex patterns and amazing golden colors. 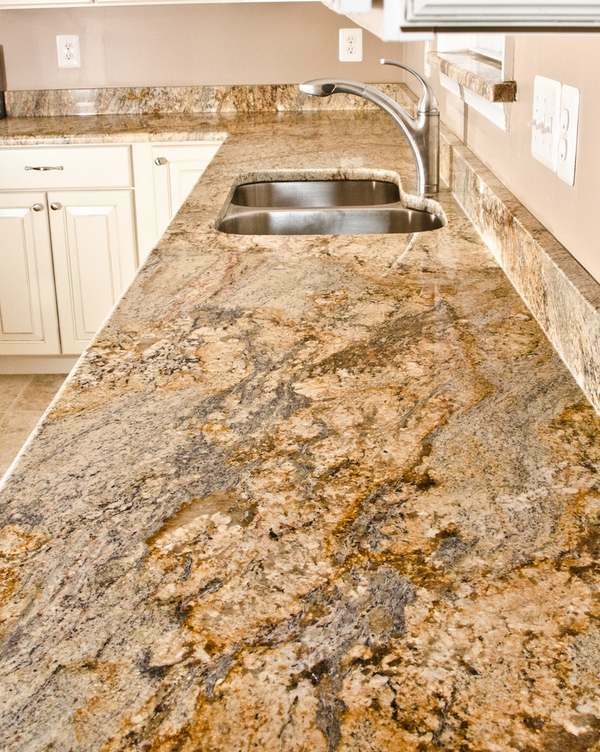 Yellow river granite countertops can be quite tricky and misleading. 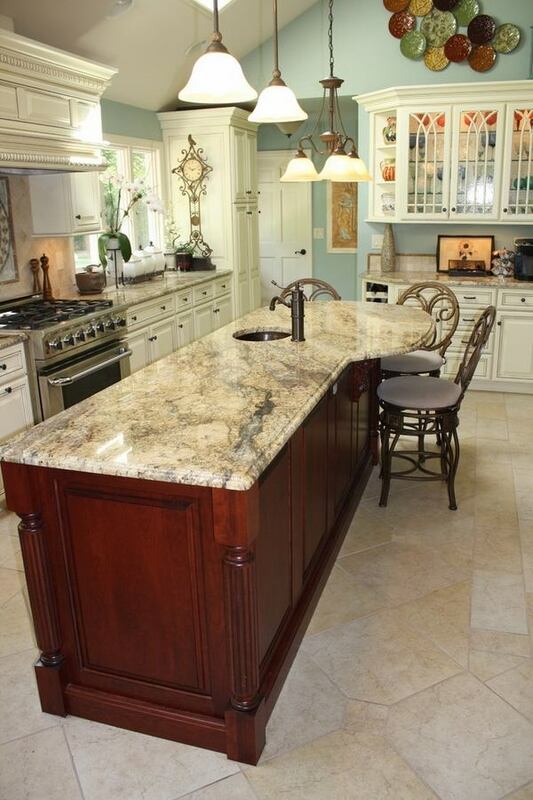 The slabs have a very high level of color and pattern variations and you can find light golden shades, creamy shades or honey-amber variations. 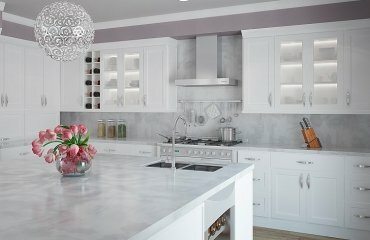 Each slab is unique and has its own individual character. 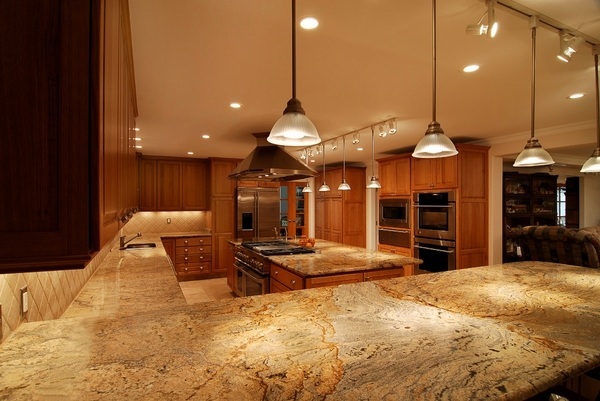 The long mineral veins and complex mineral deposits are different in each slab so it is practically impossible to find two same slabs. 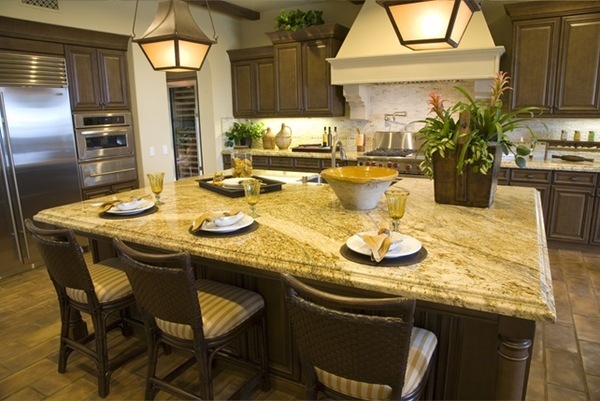 Light brown or chocolate brown minerals give a special appearance to the Golden Ridge stone. 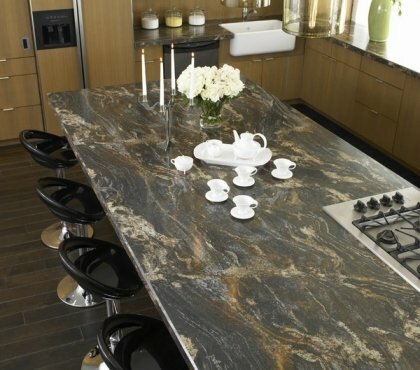 In other slabs you may see copper color mineral deposits or striking blue minerals. 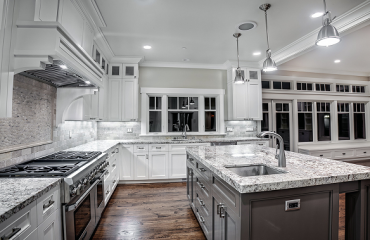 Blues may vary from deep blue to different gray shades and the beauty of the mineral is enhanced by the quartz particles which capture and reflect light adding an additional feeling of luxury and glamour. 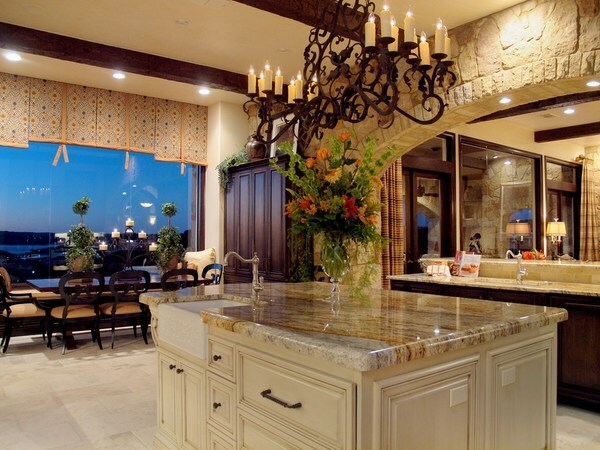 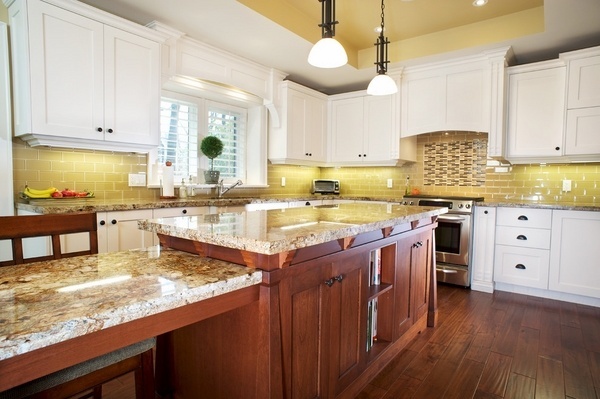 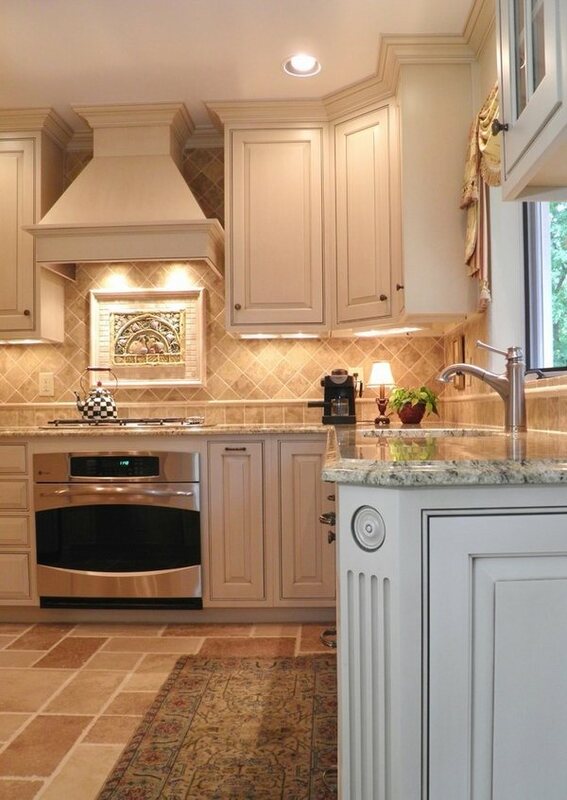 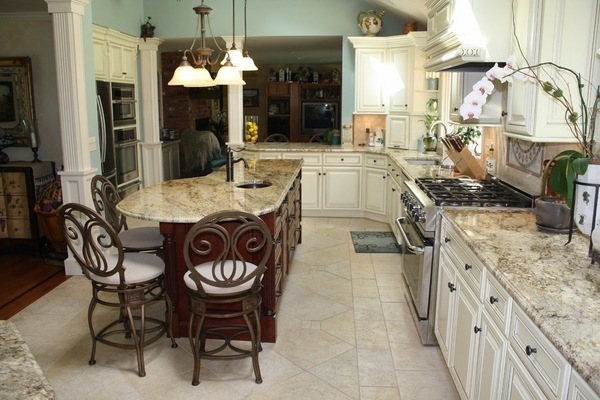 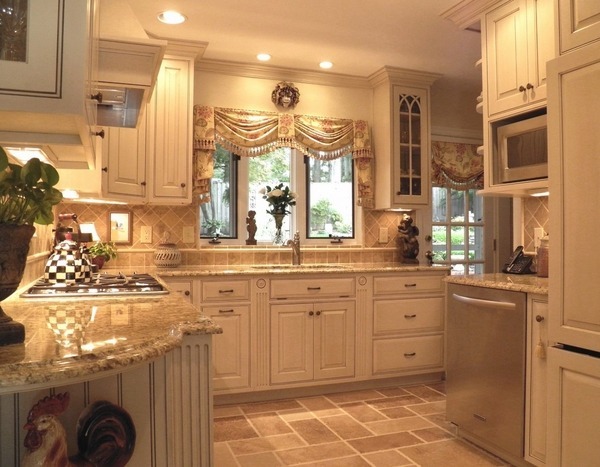 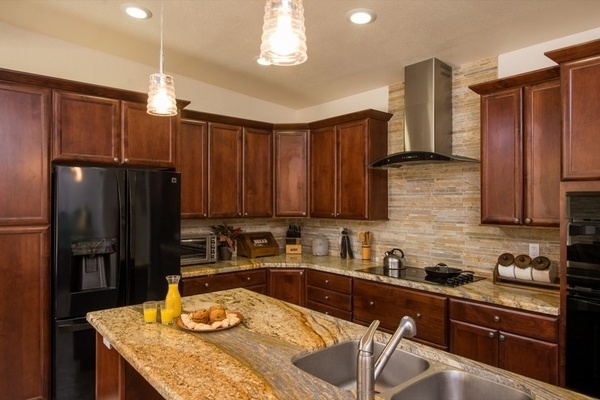 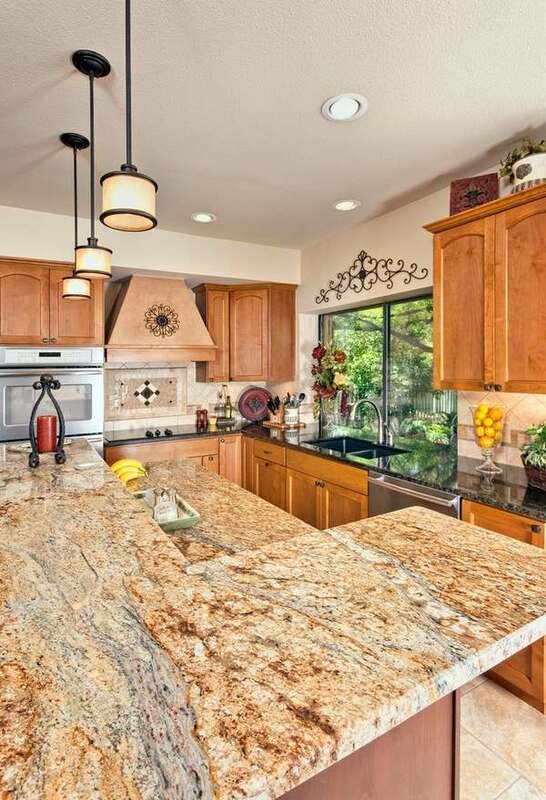 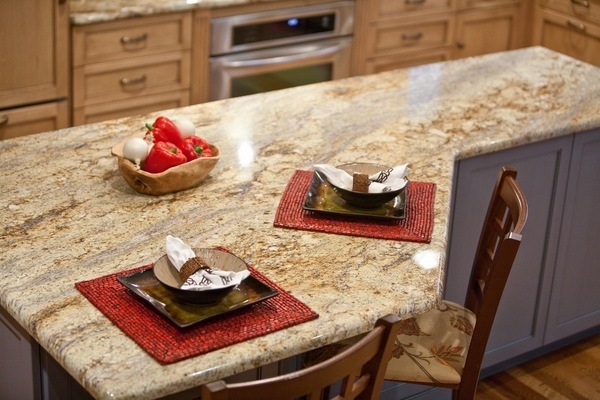 Yellow river granite countertops have an exclusive appearance and are a true asset for any kitchen. 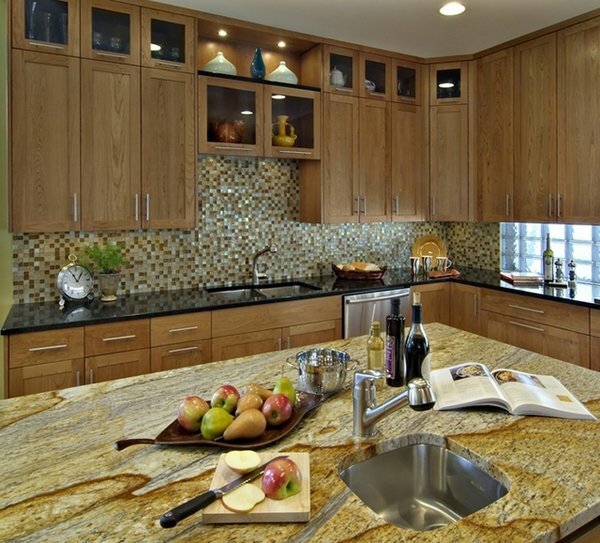 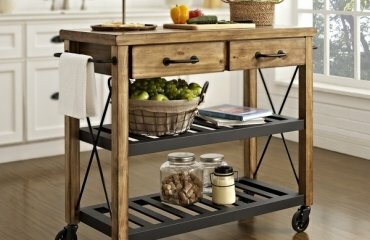 The stone can look in so many different ways that it can be blended in almost any interior style. 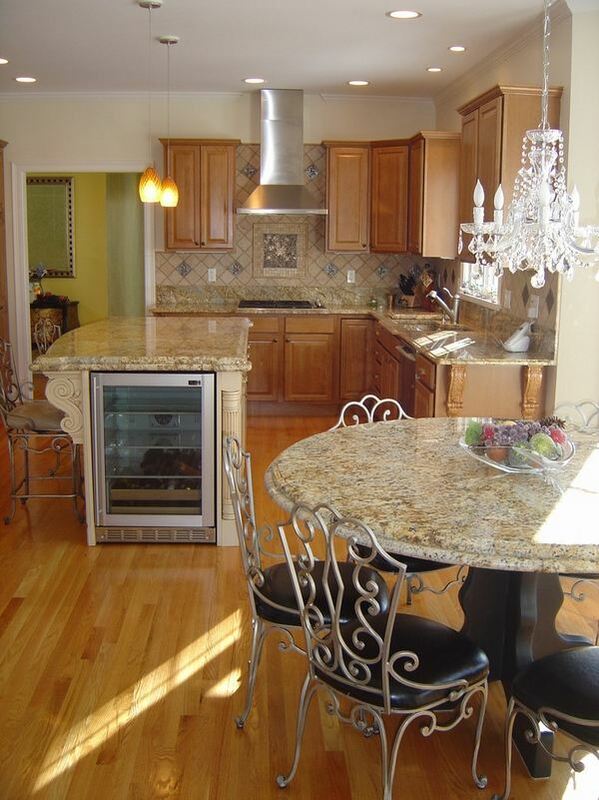 Yellow river granite countertops will be a wonderful complement to white kitchen cabinets as it would create a slight contrast. 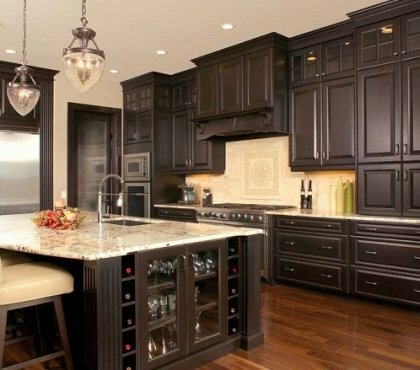 If you want a more dramatic look opt for darker cabinet colors and finishes to make a real statement and make the worktop stand out. 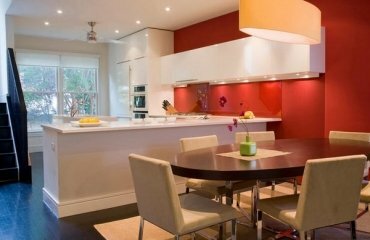 For a natural feel and calmer atmosphere, you can choose natural wood for your kitchen cabinets and your worktop will blend in seamlessly into the interior. 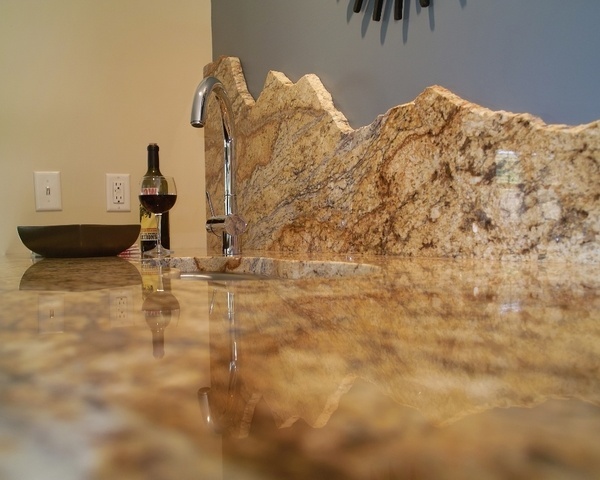 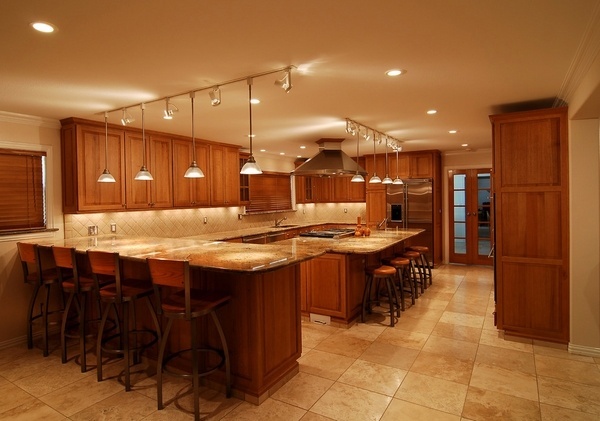 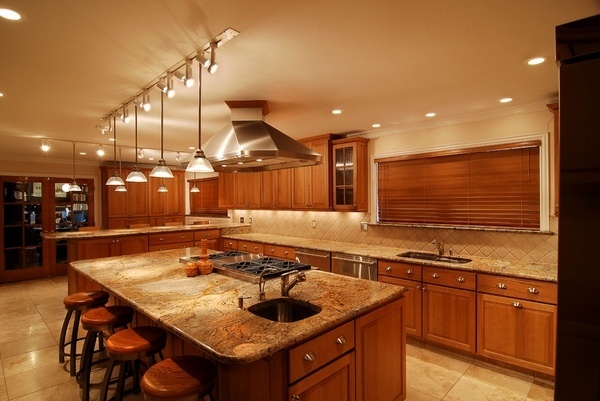 The maintenance of Yellow river granite countertops is not different to any other natural stone counter. 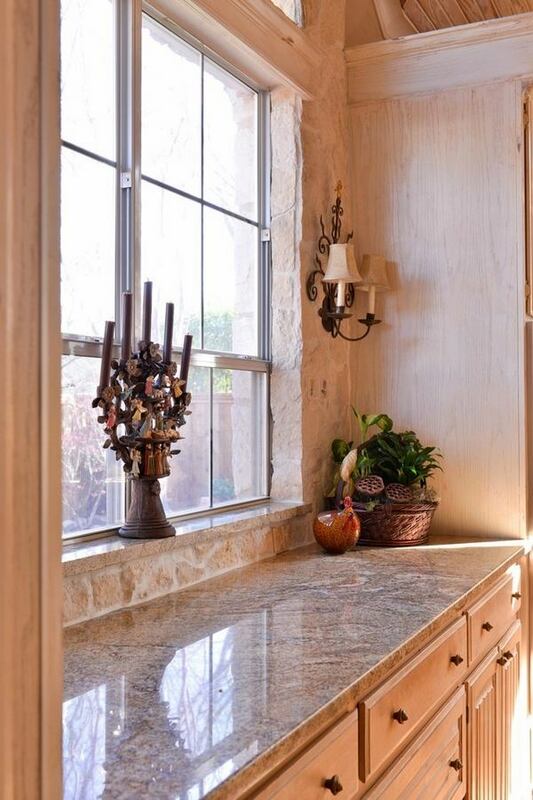 Golden Ridge offers the advantage to successfully hide any fingerprints and stains due to the complex pattern of the stone.